Kratom, like any other herb in the market, is available as an extract or crushed leaves. Users do not recommend kratom extract because it doesn’t have extra health benefits and it is more expensive compared to crushed kratom. Powdered or crushed kratom leaves, on the other hand, are perfect to use because of its natural essence. There are many ways on how you can take kratom. The most effective method is to turn it into a tea. Some people may prefer the toss-and-wash method, but making a tea is better in retaining its medicinal benefits. One good thing about making a tea is that you can control the dosage of the kratom. A small dose of kratom may not even have the optimum effect on you, but heavy doses can take its toll. Before anything else, you have to know and find the perfect dose that suits you. If it’s your first time to try kratom, you can start with 1 to 3 grams of kratom leaves. Its low dosage produces a mild effect that will give you a soothing feeling. You can up your dosage when you’re used to its taste and effects. To achieve the perfect tea with the average effects, 5 to 8 grams of kratom leaves is the standard dose. With this dose, you can enjoy a relaxed feeling after a stressful day. It’s considered the best dosage for cleansing your body of toxins. Avid users of this tea can handle up to 12 grams of kratom leaves. Its high dosage is an effective sedative for people who have insomnia. It is also used as a medication for anxiety and to relieve pain. There are two different ways of making kratom tea. You can pour it in hot water and mix the ingredients if you’re in a hurry or you can boil it to perfection like in a traditional tea ceremony. Mixing kratom leaves with hot water is one way to do it. The kratom leaves are quite challenging to dilute in water. So, this kind of method requires continuous stirring. You may also end up drinking tea with leaves and residues clumped inside your mouth with this method. Using hot water to mix kratom tea is not recommended by most users. Even if this method is your on-the-go solution, it may not be as effective. Hot water doesn’t work that much to release the alkaloid in the kratom so you may not feel the natural effects of the tea. Boiling is the traditional way of preparing tea all throughout history. In this method, you have to boil the dried kratom leaves in water for about 20 to 30 minutes. Then, filter the residue from the tea. The effects of the tea may also depend on how much water you put in. The lighter the color of the tea, the less impact it would have. The darker the color, means the stronger the brew. If you can’t decide whether to pour in hot water or to boil the kratom leaves, you can choose the middle ground method. Mix water and kratom powder or crushed leaves into a pot and let it simmer. You can wait for about 10 to 13 minutes for best taste; strain the residue and drink. Kratom tea has a bitter taste. So you can add sugar, cinnamon, or lemon to make drinking more enjoyable. You can also use honey as a natural sweetener for your kratom tea. Some people prefer to drink kratom tea after a heavy meal because it helps in their bowel movement. Others even drink kratom tea on an empty stomach. If you want to start easy, you can drink kratom tea after a light snack. If you prefer a refreshing drink, you can keep a bottle of kratom tea in the fridge. You may also opt to add ice. Although, it may not have the same effect as when you drink it hot. You can use these tips as guidelines on how to prepare a kratom tea. 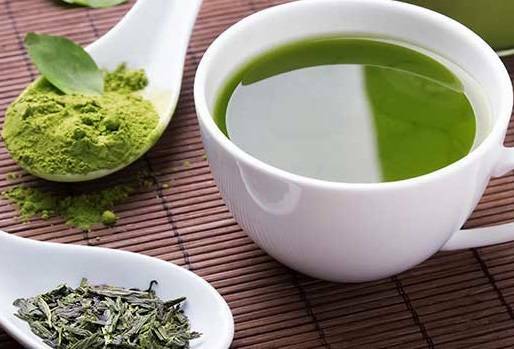 Take note, however, that there are various options to achieve the perfect taste of kratom tea. In the end, it is your choice that matters when choosing what and how to make kratom tea.